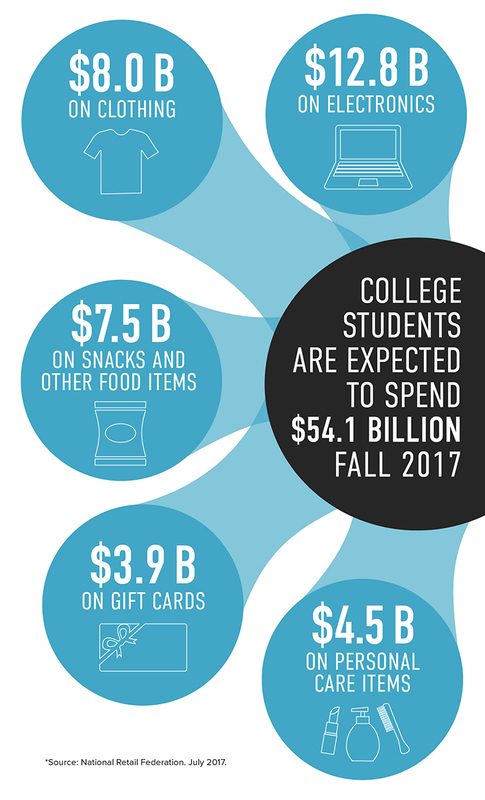 Total spending is expected to rise to $54.1 billion, up from $48.5 billion last year, and exceeding 2012’s record of $53.5 billion. 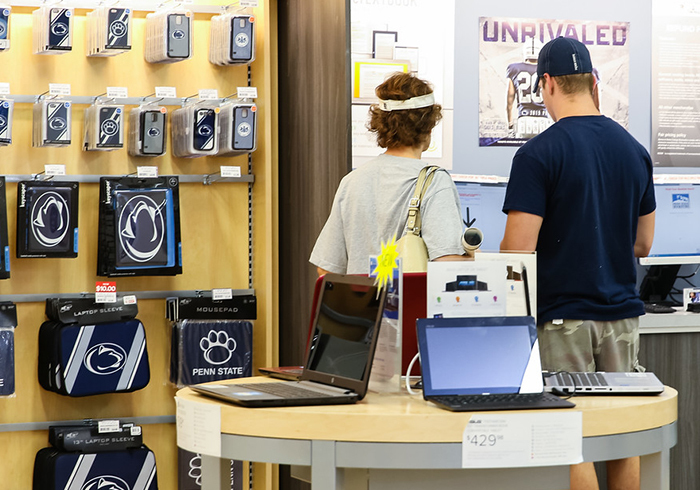 In addition to spending on electronics and apparel, students and their families are expected to stock up on non-essentials such as food and snacks, gift cards and personal-care items to help them get through the school semester. 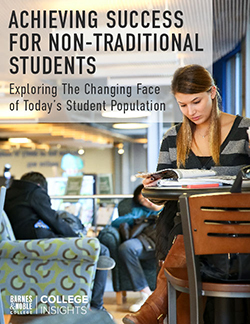 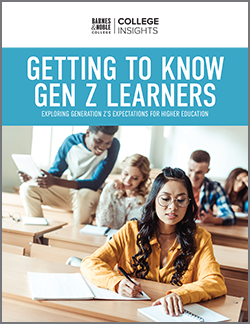 To download our latest infographic on college spending, click here.